Have you ever seen a shoeshine boy or girl in Edinburgh? Or anywhere in the UK for that matter? Not often. 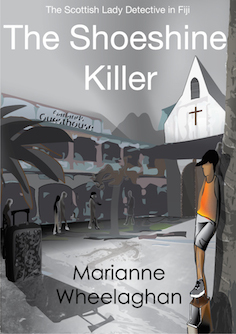 So by its very title, The Shoeshine Killer tells us we are going to be whisked away to foreign shores, in this crime thriller from local author, Marianne Wheelaghan. This is the second novel featuring Detective Louisa Townsend and the South Pacific. Food of Ghosts was a fascinating introduction to Louisa’s world, the endangered coral atoll of Kiribati in the South Pacific. Now we travel to Fiji with Louisa for a money laundering conference, arriving at the airport only to discover that her luggage has gone missing and a coup has occurred, placing the city centre under curfew. With a similarly stranded Dutch tourist, Louisa is picked up by a New Zealand/Australian pair, Rick and Stewy who have a guest house outside the affected area. Relieved that the car, people and guest house are clean (Louisa has OCD) she has a good night’s sleep but wakes to find that someone has been rummaging through the underwear she washed. Louisa then finds herself in the middle of an argument between the two men, and on the defensive as she turns up to the conference in inappropriate clothes and is sneered at by D I Vika who runs the police show on Fiji. While tracking down her lost luggage, she finds her host Rick murdered and Louisa is a suspect. Fortunately she finds an ally in young detective constable Makereta who is assigned to spy on Louisa and who knows the local goodies, baddies and everyone in between. 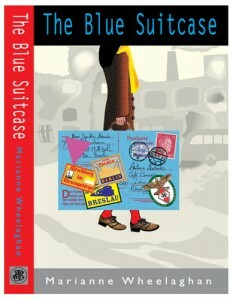 While Vika and her team appear lax about investigating the murder, Louisa and Makereta do their own sleuthing, centred around a racket run by the owner of the shoeshine boys. In the midst of this, Louisa discovers that her mother in Edinburgh has had a fall and needs carers to help her. Louisa is going home the following week, taking her boyfriend Mataio to introduce him to her mother and show him the delights of Scotland. But Mataio has cashed in the airline ticket she bought for him and given the money to the church to build a communal hut. With communications all but impossible, she dashes home to Tarawa to find out what’s going on and learns that Mataio has found religion and decided that their relationship is sinful. Rejected, conned and hurting, she returns to Fiji, the shoeshine boys and their precarious existence, the kindness of the antipodian men who tried to help them and the men behind the murders. 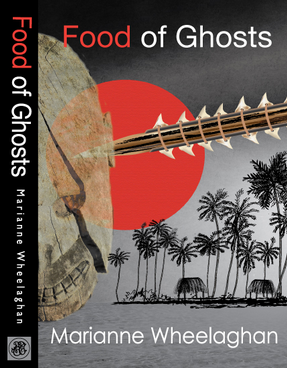 As in Food of Ghosts, the author’s personal experiences enable her to paint the most vivid and believable background to this exotic environment. The weather, the scenery, the language, the customs, everything reminds you that this is not Scotland and that things are done differently. But people are still people and there is still morality, cruelty, kindness, frailty and duty, and just sometimes, there can be love as well. So, roll on the next adventure for Louisa! Read the original review in Lothian Life magazine here.